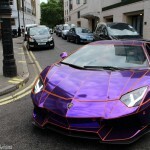 Lamborghini Aventador Cars Could Get Crushed in London! 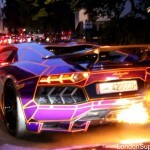 This is one of the flashiest Lamborghini Aventador cars and it was driven by Naseer Al-Thani (24 years) on his vacation in London. 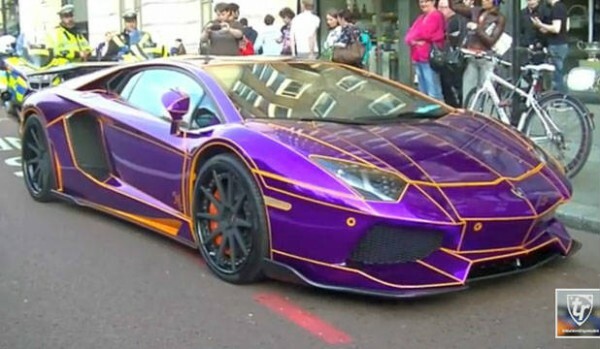 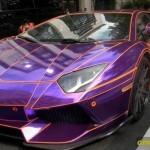 He forgot his insurance information and his driver`s license in his homeland Qatar and the meantime he was showing-off with his purple-orange and glow-in-the-dark Lamborghini Aventador. 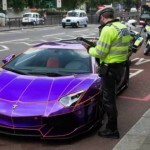 He was seized for driving without driving insurance by the British traffic police and it could get crushed a likely scenario, because mundane vehicles get this when they are seized in Britain. 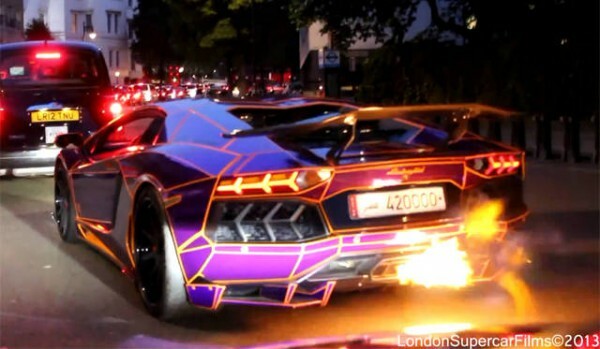 Finally, check out some of the best new future concepts Lamborghini is planning on this link!